Your gut bacteria affects nearly every function in your body — from your digestion to your immunity, mood, energy level, skin condition, and even weight gain/loss. There’s a growing amount of research that suggests your gut bacteria actually influences food cravings, your metabolism, how your body processes food and how many calories and nutrients your body absorbs from the food you eat. This all means, the trillions of bacteria living inside you may have a say in your pant size. A number of different studies show a diverse mixture of gut bacteria is one key to staying lean. A 2013 study found that thin people have 70 percent more gut bacteria than people who are overweight. Getting even more in depth, researchers found that the species of bacteria are different in people who are obese compared to those who are slim. Dr. Joseph Mercola pointed out a study where researchers found obese people have about 20 percent more of a bacteria strain called firmicutes. Firmicutes help the body pull calories from complex sugars and turn those calories into fat. When firmicutes microbes were transplanted into normal-weight mice, researchers noticed those mice started gaining twice as much fat. Those same researchers also found that lean people have almost 90 percent more of a bacteria strain called bacteroidetes. Bacteroidetes are believed to help break down starches and fibers into shorter molecules that the body can use as energy. Studies show firmicutes and bacteroidetes are not the only bacteria strains that affect your weight. In 2010, researchers had a group of obese people drink probiotic-rich fermented milk for 12 weeks. Researchers found the group was able to reduce their belly fat by nearly five percent. They were also able to reduce subcutaneous fat by more than three percent. The only way to create more diverse gut flora is to ingest probiotics. The Gut Health Project recommends adding probiotic-rich foods to your diet and taking a daily high-quality probiotic supplement. Don’t rely solely on probiotic-rich food to improve your gut health, though. 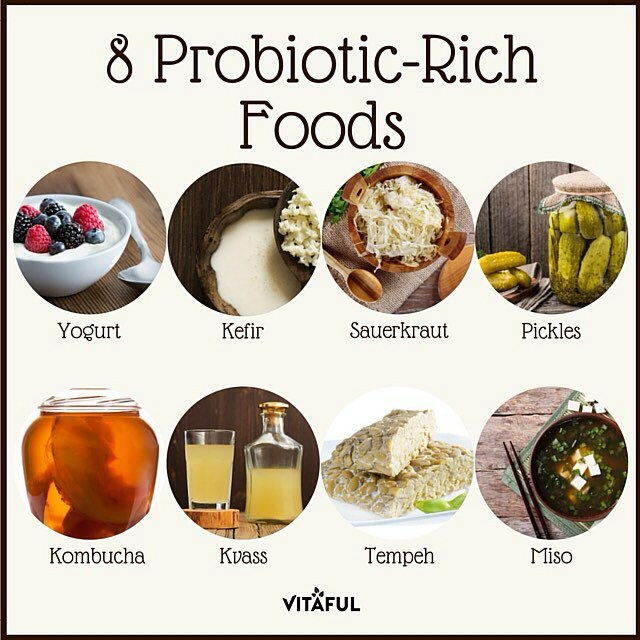 In reality, the amount of probiotic-rich foods you would need to eat in order to get sustainably great results is daunting. These foods tend to be expensive, hard to find, and not to everyone’s taste preference. That is why doctors, medical professionals, and the Gut Health Project recommend taking a high quality daily probiotic supplement, like Perfect Origins – Perfect Biotics. The word “fat” has a bad reputation. Many people try to cut all fats from their diet, worried that if they eat fats they will get fat. Well, that isn’t quite how it works. So how can you tell the good fats from the bad fats? Well, you’ll have to read the food’s nutrition label. To know what to look for, check out the following infographic (article continues below). This type of fat is found in a variety of foods and oils. Polyunsatured Fats – This type of fat, such as omega-3 and omega-6, benefits heart health. According to the Mayo Clinic, evidence shows that eating foods rich in polyunsaturated fats can improve blood cholesterol levels, which can decrease risk of heart disease. This type of fat may also help decrease the risk of type 2 diabetes. Polyunsaturated fats are found in fish (such as salmon, tuna, trout, sardines and herring), nuts, seeds and vegetable oils. Trans Fats – Trans fats are created when hydrogen is added to vegetable oil to make it a solid. They are often called partially hydrogenated oils. This type of fat is known to raise bad cholesterol levels and lower good cholesterol levels. This type of fat is also linked to heart disease and can harm gut health. Trans fats are found in fried foods and baked goods, like cupcakes. Saturated Fats – This type of fat is found in meats, whole-fat dairy products and baked goods. The U.S. Food and Drug Administration (FDA) is taking a step to remove artificial trans fat from food. The FDA has recently place an official banned all artificial trans fats from the U.S. food supply, which will take effect over the next three years. The Dietary Guidelines for Americans recommend limiting your daily total fat intake to 20-35% of your calorie intake. This means, if you eat the recommended 2,000 calories a day, you should eat anywhere from approximately 44 to 78 grams of total fat per day.